Your life is brimming with beauty, meaning, wisdom, and unquantifiable treasures. Yes, YOU. Your life. Right now. Just the way it is. Of course, relationships can be challenging. Work can be tedious and stressful. People get sick. Disasters occur. There is poverty. Bad things happen. And yet, you possess precious gifts and deep wisdom. Mindful Gratitude is an invitation to explore, excavate, and discover the unique treasures that exist in your life, no matter your circumstances. It is an invitation to write the story you didn’t know you had. Click here for an excerpt from Mindful Gratitude: Practicing the Art of Appreciation for a present-moment story that includes an earthworm, a diamond ring, and a mysterious happening. Learn more about Practicing the Art of Appreciation as Christel talks about her book and it's practical application on WPR. 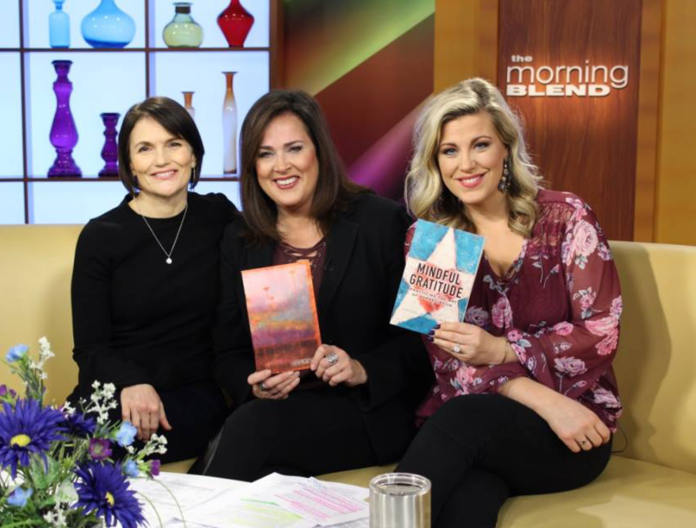 Click here to see author Christel Wendelberger discuss "Mindful Gratitude" on Today's TMJ4 "The Morning Blend". Find YOUR story. Explore its meaning. Celebrate the beauty that is in your life RIGHT NOW! Beautiful tools to help you express and practice gratitude featuring original artwork by Timothy Meyerring. Experiential learning opportunities delivered in workplaces, community centers, and anywhere people are looking for deeper meaning and stronger connections.